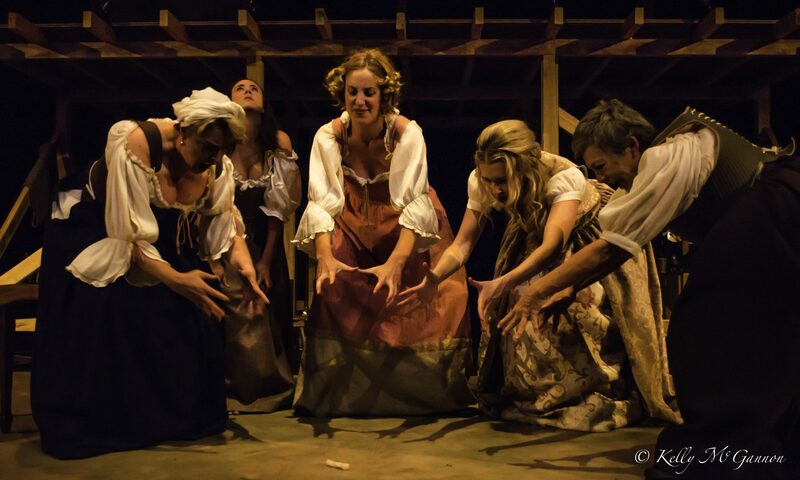 “Playhouse Creatures makes wonderful debut by Canberra’s new theatre company, Pigeonhole Theatre…The spirit of Restoration England is captured beautifully in the costume design by Anne Kay, and the imaginative set designed by Christiane Nowak. The music was composed by Matthew Webster and with Jordan Best’s sensitive interpretation through her cello playing, there was an almost-cinematic audio atmosphere. “Jordan Best, the director, has done some of her best work here with a strong production that works on all levels. Played on a split level set well-designed by Christine Nowak and lit by Kelly McGannon, the atmosphere of a Restoration era theatre is nicely captured. The music score by Matthew Webster is hauntingly beautiful. There are great performances from the entire cast. Amy Dunham as Nell Gwynn is superb as the rough young girl who wants to be an actress. Karen Vickery gives a highly detailed and very real performance as the reigning queen of the theatre, Mary Betterton. Jenna Roberts plays her role with a delicacy and fragility that is heart-breaking and Emma Wood gives a grand performance both humorous and sad. Liz Bradley is nicely tough and funny as Doll Common and expertly delivers some of the best lines in the show. The period costumes by Anne Kay run the gamut from rags to riches and all are nicely designed and suit the actresses very well. Directed with customary flair, sensitivity and imagination by Jordan Best and featuring a cast of Canberra’s finest female actors…Pigeonhole Theatre speaks from the heart and creates a performance of utmost decorum. There are moments of sheer magic, heightened by Best’s evocative playing on the cello and Matthew Webster’s brilliant accompanying musical composition.